Denial, anger, bargaining, depression, acceptance. These aren’t just the five stages of grief - they’re also the five stages of practicing through a yoga injury. Depending on the injury, it can feel like the same thing sometimes. If you practice yoga for any length of time, it’s likely that you’ll have an injury sooner or later. 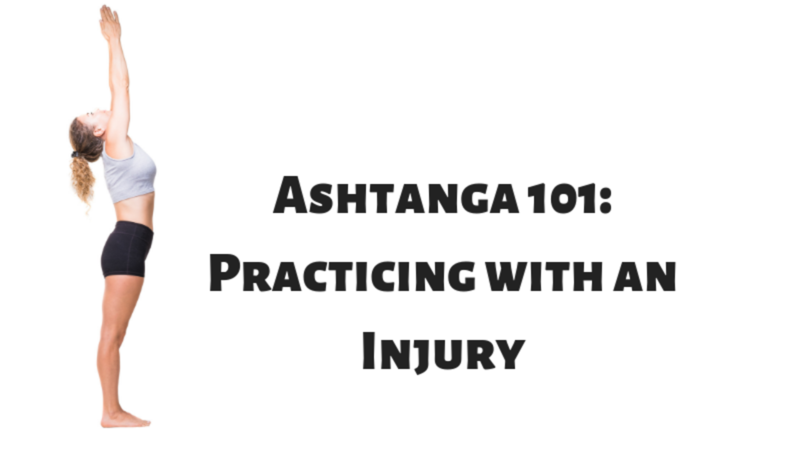 Regardless of whether the injury occurred during your asana practice, the recovery period can be frustrating, scary, slow, and a range of other experiences and emotions. Ultimately, though, your practice can support your recovery if you modify appropriately, and the ability to adapt and maintain your practice through challenges and hard times is one of the most important mental disciplines in (and benefits of!) Ashtanga. Here is my modified sun salutation. I always try to incorporate what the PT tells me into my practice. I also like to help my students do the same. Today, in between poses I did a roll down as the vinyasa because it strengthens my core, builds heat, and I can stay off my wrist. Sometimes you have to be creative! Maybe overcoming barriers to practice is the practice. Check out my online course Intermediate Series In-Depth for lots of great practice tips and interactive real time meetings.